Who are the team to beat in this season's A-League? 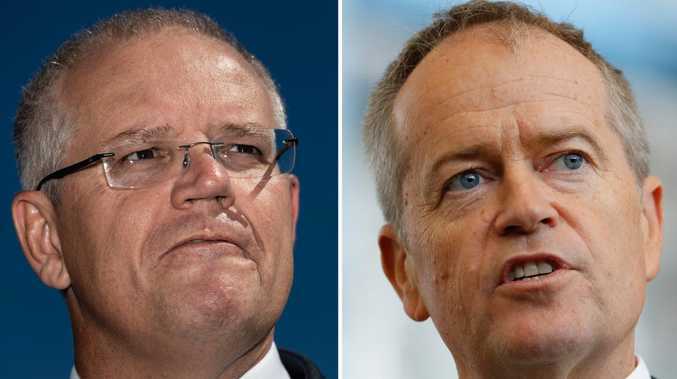 ON the eve of the new season, A-League stars are split on the identity of the tournament favourites. In what shapes as one of the tightest seasons yet, many have pointed to astute recruitment across the board as a factor that makes the race incredibly difficult to predict. 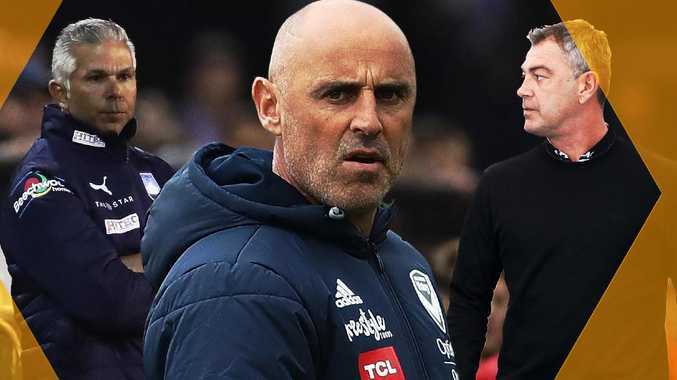 Defending champions Melbourne Victory are bolstered by a the arrivals of World Cup pair Keisuke Honda and Ola Toivonen, a strong Sydney FC welcome Adam Le Fondre and Siem De Jong, while Tony Popovic's Perth Glory revolution has some tipping them to go all the way. 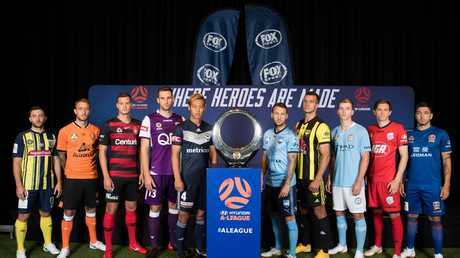 Foxsports.com.au spoke to a player from each team at the A-League's official launch on Monday to gauge who shapes as the team to beat in 2018-19. MELBOURNE CITY'S RILEY MCGREE: "I think everyone. I think every team brought in quality signings and looks really good. So I think every game is going to be a tough challenge." BRISBANE ROAR'S ADAM TAGGART: "I want to say Melbourne City. There's a lot of focus on Victory and Sydney but I think City is the team to beat. The amount of money they've spent all over the park, not just one or two positions, is a team that has to perform really." CENTRAL COAST MARINERS' TOMMY OAR: "The Mariners. But aside from us, I think Wellington is one team who are going to be a bit of a dark horse. Everyone is kind of writing them off but they have a good coach, made some good signings and have some great players." WESTERN SYDNEY WANDERERS' ORIOL RIERA: "I think that every team has signed very good players, for example Perth, the two Melbournes, Central Coast, we'll see what team will be in the top six but at the start will be difficult." PERTH GLORY'S MATTHEW SPIRANOVIC: "Its hard to say but I'm sure over the years, Melbourne Victory, Sydney FC have always been at the top so I'm sure they'll be strong again, but a lot of the other teams have strengthened their squads as well." NEWCASTLE JETS' DIMI PETRATOS: "I'd have to say us. We have to be positive, so we want to be the team to beat." ADELAIDE UNITED'S CRAIG GOODWIN: "I think it's going to be an even competition, but being from Adelaide we always want to beat Melbourne Victory that's our biggest rival, but across the board its going to be a tough competition. I think Perth and Sydney will be strong." 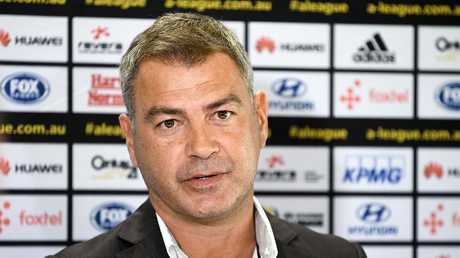 WELLINGTON PHOENIX'S STEVEN TAYLOR: "For us it doesn't matter what team it is in front of us. We just want to win every game, concentrate on ourselves and not worry about any other side - that's maybe been the downfall for Wellington in the past." SYDNEY FC'S ADAM LE FONDRE: "Us. Sydney, that's what I've been told. We have to put in a performance against everyone to get the right result. That's our aim, to win everything." MELBOURNE VICTORY'S COREY BROWN: "I'd have to say Sydney FC. They've won the last two minor premierships and the championship two seasons ago, so they'd be the team to beat for me."